As many of Gmail users had witnessed that their Mails are landing into Spam since couple of days and also receiving update password mails.
" To get the messages past spam filters, the spammers have been using forged email headers to make them appear as though they are being sent". 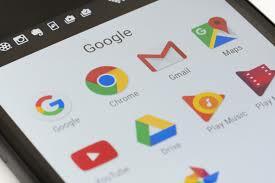 However Google Spokesperson has said " We are aware of a spam campaign impacting a small subset of Gmail users and have actively taken measures to protect against it. We have identified and are reclassifying all offending emails as spam, and have no reason to believe any accounts were compromised as part of this incident"
A User at Google Help Forum wrote as " My email account has sent out 3 spam emails in the past hour to a list of about 10 addresses that I don't recognize. I changed my password immediately after the first one, but then it happened again 2 more times"
Google employee Seth Vargo tweeted "The company's engineering teams are aware of this and are working on a resolution"